On 29th March 2019, the United Kingdom will officially end its membership of the European Union. Since the vote on 23rd June 2016, the political landscape has been dominated by the EU negotiations and fears of a possible no-deal scenario have been echoed throughout the media. Although MPs have voted against a no-deal, it will always be a possibility, but have we lost the potential usefulness of it in the bargaining process? In Greater Manchester, Council leader Richard Leese has begun emergency preparations – in particular stockpiling, to deal with the possibility of Britain leaving the EU without a trade deal. In the event of Britain walking away from the EU negotiations without any trade deal, the government would fall back on the rules of the World Trading Organisation (WTO). Britain already deals with 111 other non-EU countries under WTO, and this would give us the ability to strike new trade deals with any country. Crucially, this will give businesses the certainty they have been pleading for since the referendum. If the UK and Europe halted trade completely, the country would no longer receive 44% of its overall imports. This could be worth more than £274 billion. The EU would lose out up to £341 billion in profit by severing trade with Britain, as well as forfeiting the ‘divorce bill’ of £39 billion. Currently, there are no checks performed on EU goods at Dover. However, if no trade deal is reached then all goods would be subject to checks. This would put perishable goods, such as food and medicine, at risk of delays. Contrary to this, Felixstowe Port has no issues processing goods on a much larger scale than Dover, and without endangering perishable goods despite performing checks. Britain would take back control of its borders if it left without a deal but this isn’t the whole story. There are fears that there will be a shortage of workers in some areas that rely heavily on migrant workers. In particular, health and social care systems depend heavily on foreign employees. However, could this also be an opportunity for Britain to get its own people to fill in these jobs? The chief concern of a no-deal scenario was that a hard border in Northern Ireland would be put in place. With the absence of a trade agreement, checks would be implemented by the EU in accordance with its rules. The negotiations have thus far secured a two-year transitional period, secured the rights of EU citizens and have finalised a ‘divorce bill’. Issues around the border and future trade remain outstanding. 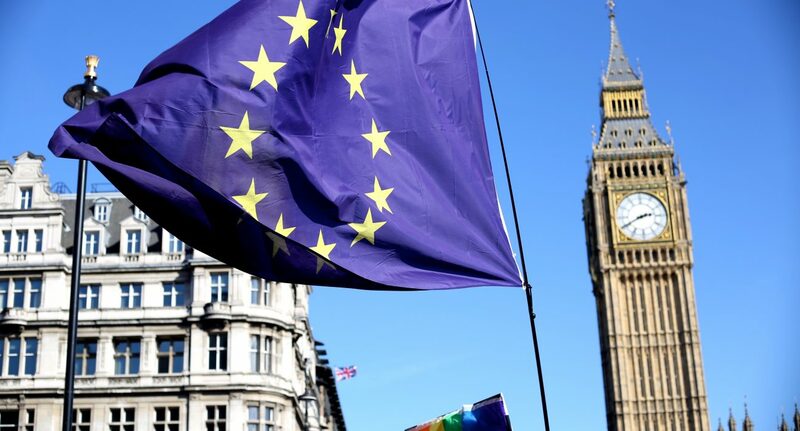 Dr. Sonia Bussu, a lecturer in politics and public administration, described some effects a no-deal may have, she felt “that in order to protect the future of the EU project, Brussels will feel it needs to be firm and not give mixed signals by giving the UK too much ground. They will want their £40 billion settlement before any conversations about trade deals can start”. Without the threat to walk away from the negotiations, it will be very difficult to take a firm stance against Brussels and achieve a good deal. By ruling out the possibility of a no-deal, it has signaled to the EU that any deal will be accepted because they know eventually it cannot be refused. A no-deal is a cause of great concern in Britain, but despite its posturing, the EU fear it as well. Without the threat of a no-deal in the negotiations, Britain may well now have to settle with a bad deal.